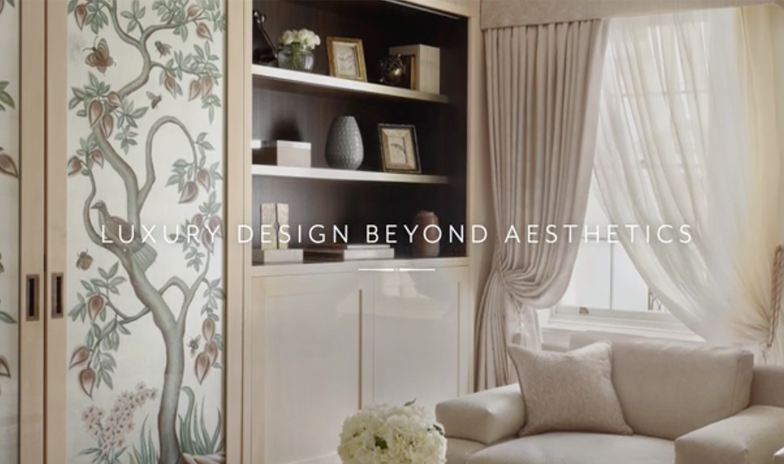 As our global multi-disciplinary studio has a proven track record of thoughtfully designing and building the world's finest homes, we regularly have our work recognised in the media. 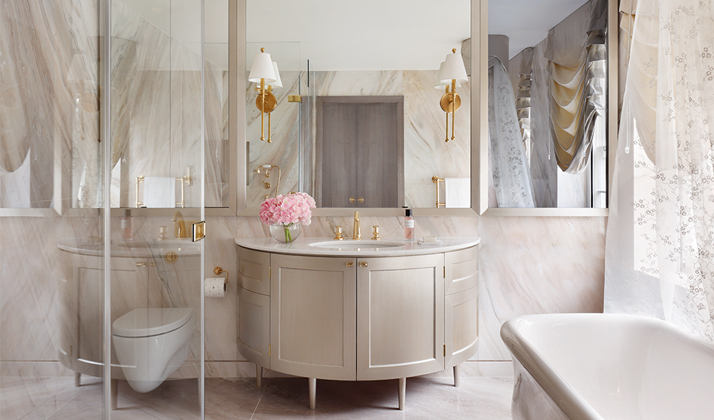 Check out a selection of our press coverage on these pages. 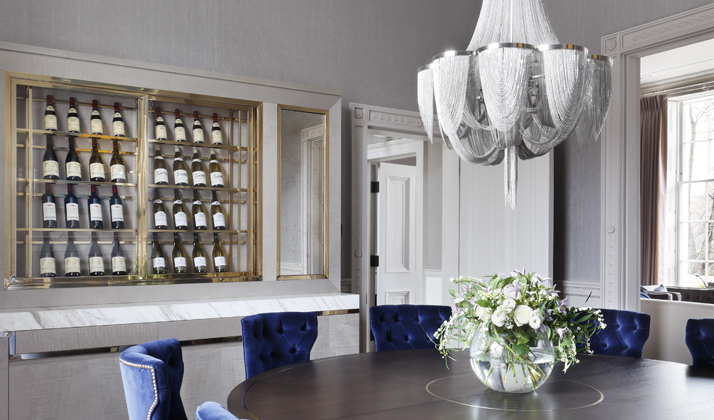 The Latest Thing in Wine Storage: Sharon Lillywhite talks to The Times about what design requirements our clients have for storing and displaying their wine collections – an investment of passion. 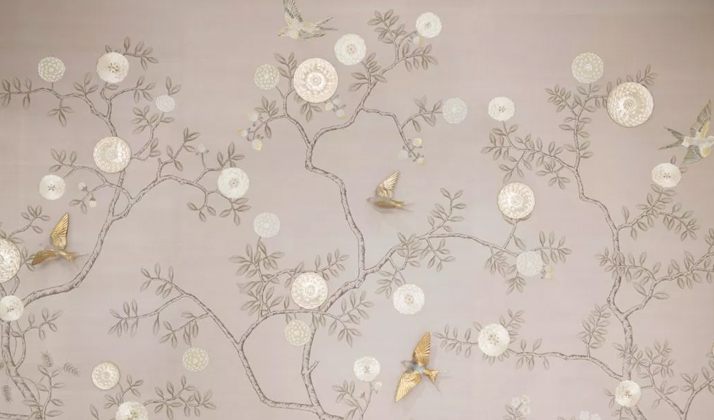 Wallpaper is back and it is exquisite (and £2,000 a sq m) : Carol Lewis of The Times looks at the resurgence of silk wallpaper and discusses with our Co-Founder, Sharon Lillywhite, why our clients look on it as a work of art. 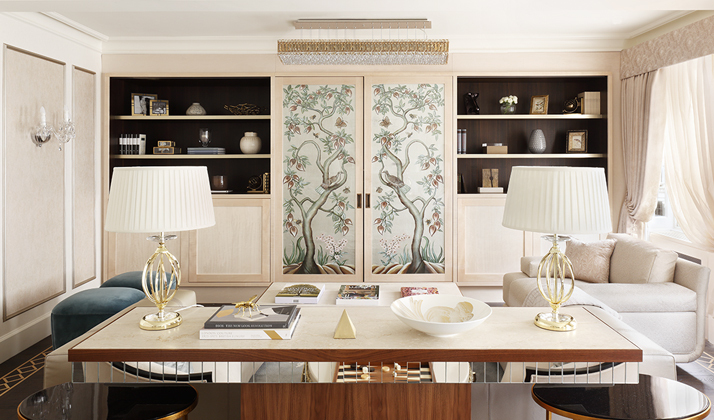 Inside the World Of Designers to The Super-Rich: This piece by Nicola Venning explores with our MD Alex Holden what it’s like to work on the design projects of the world’s elite. 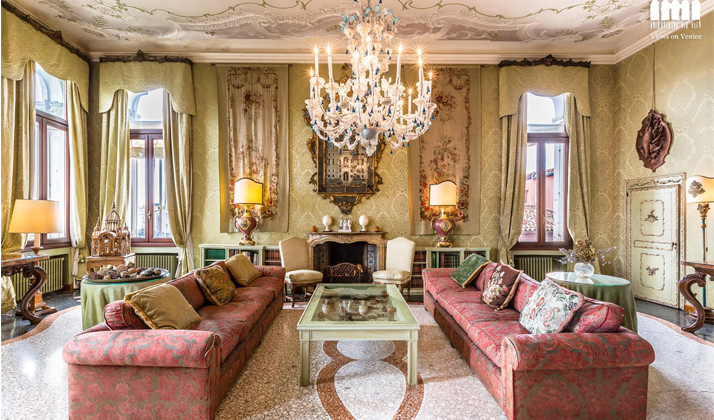 Moving Up: Return Of The Piano Nobile: We discuss with The Times the resurgence of the Piano Nobile and the trend for restoring these principle rooms, with their ornate cornicing and grand fireplaces. 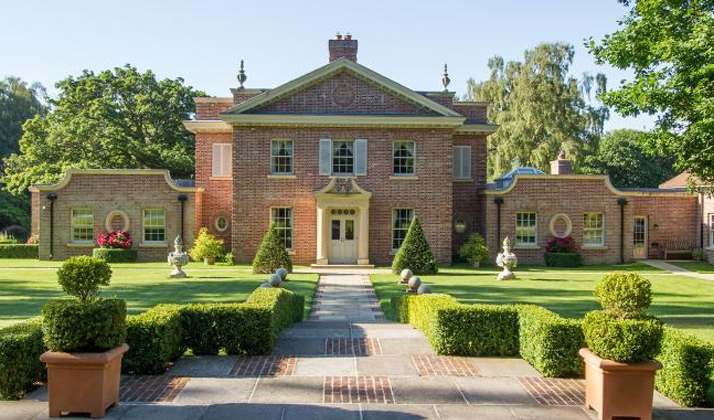 How To Make A Great First Impression: Alex Holden discusses with Carol Lewis how to create an immediate wow factor with a show stopping entrance. 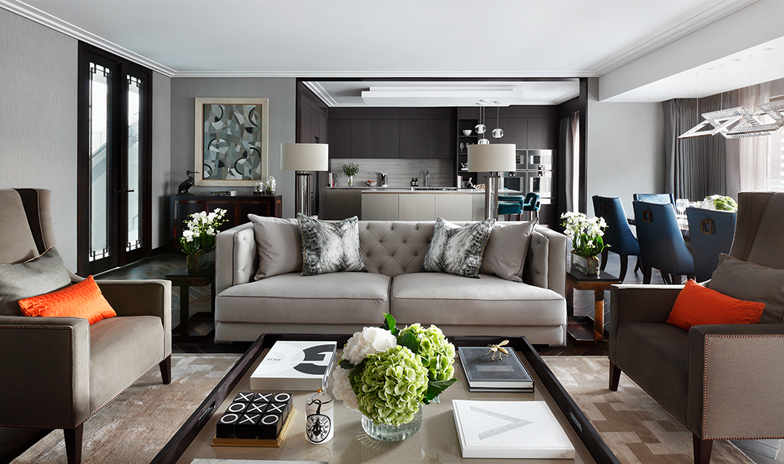 5 Reasons Why You Should Commission A British Interior Designer: As big-spending international studios increasingly look to make their mark on the UK scene, our Managing Director, Alex Holden explains why British design – and designers – will always be in fashion. 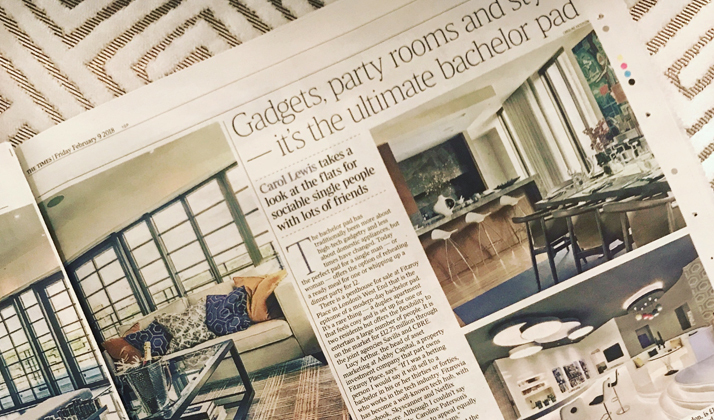 Gadgets, party rooms and style – it’s the ultimate bachelor pad: Alex, our Managing Director features in this Bricks and Mortar piece on what it takes to create the ultimate party pad. 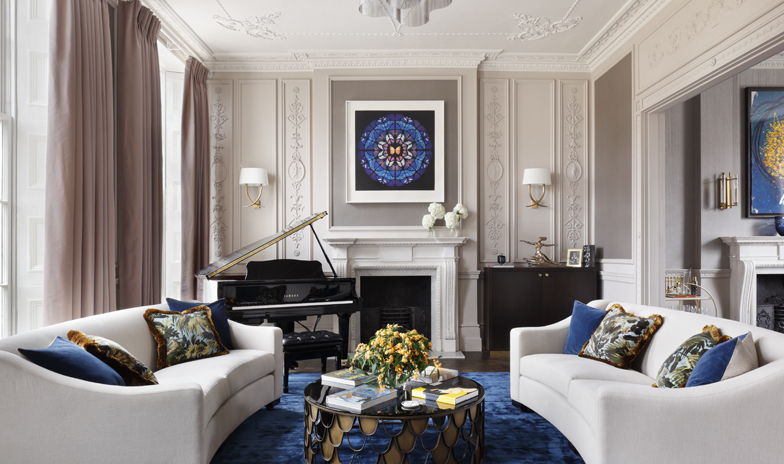 Behind The Schemes: We talk Prime Resi through a technically challenging renovation project of a listed townhouse in Mayfair, with opulence as its central theme. 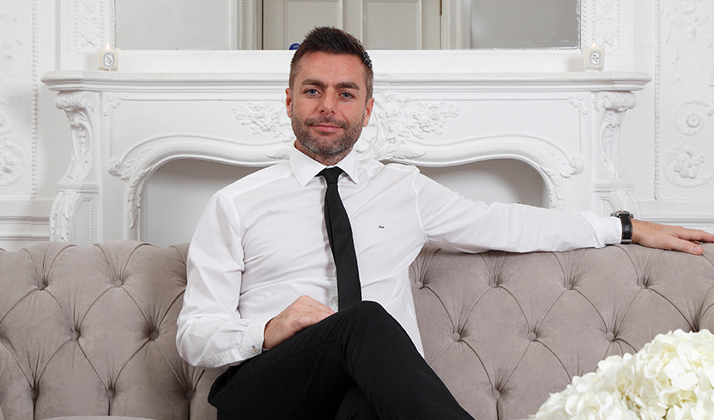 Tastemakers: Joe Burns is featured in as a Tastemaker in The Times Bricks & Mortar. He gives his advice on all things design. 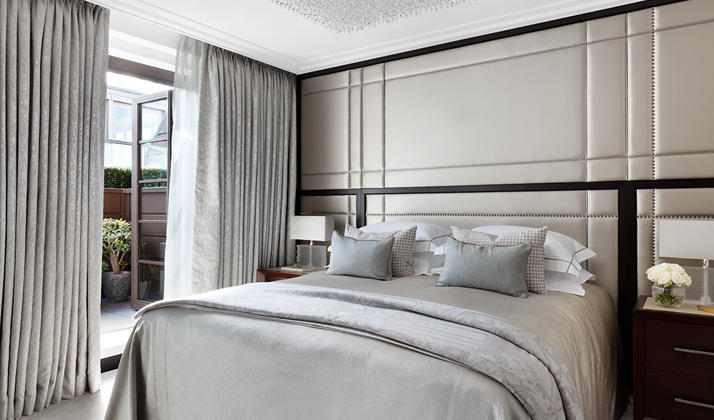 As we work on some of the world’s best interior design projects, we are considered thought leaders in super-prime and luxury interior design.